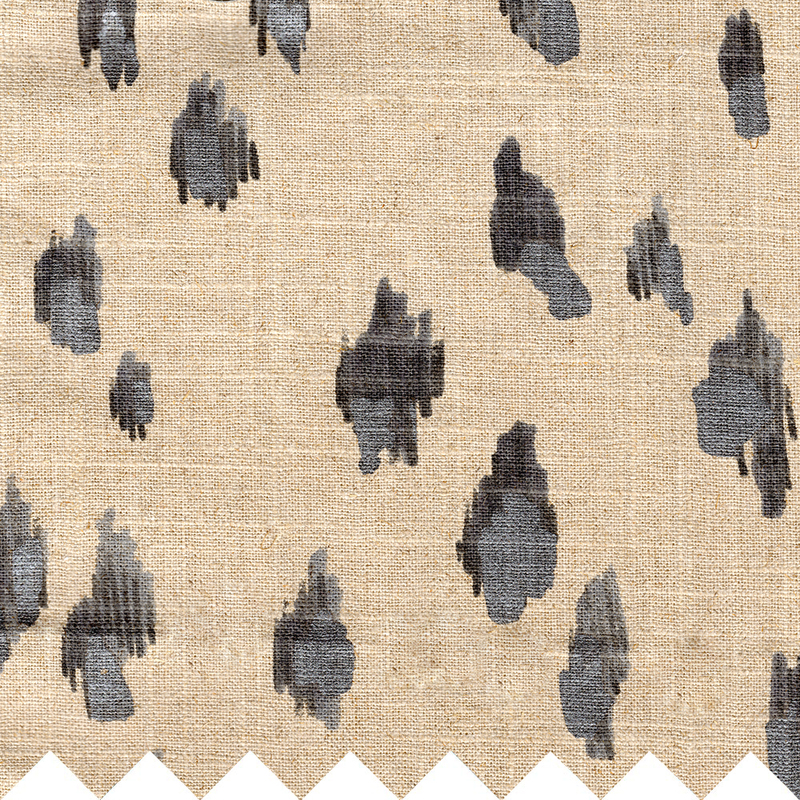 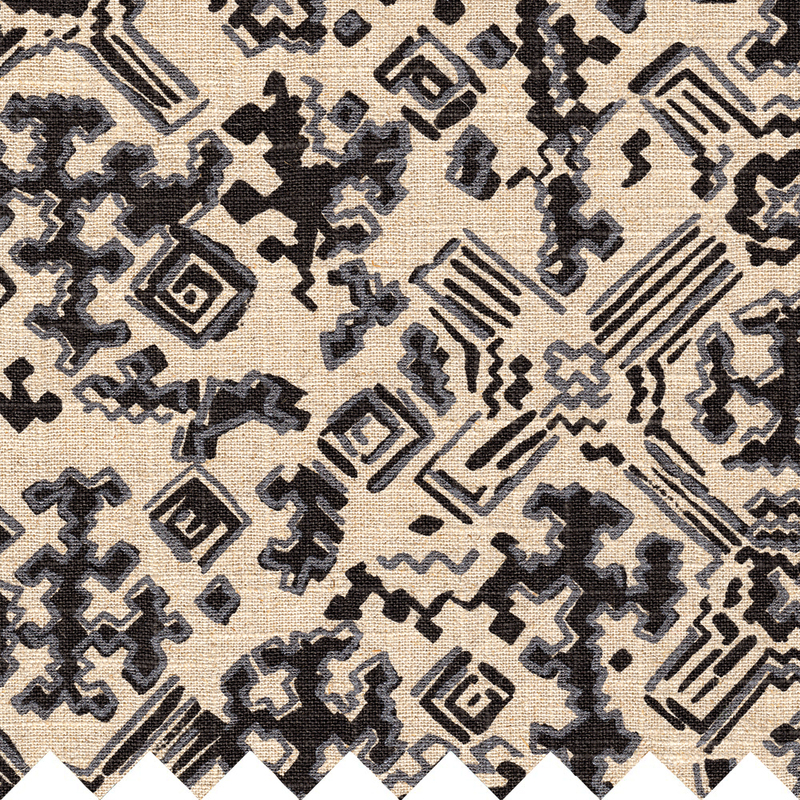 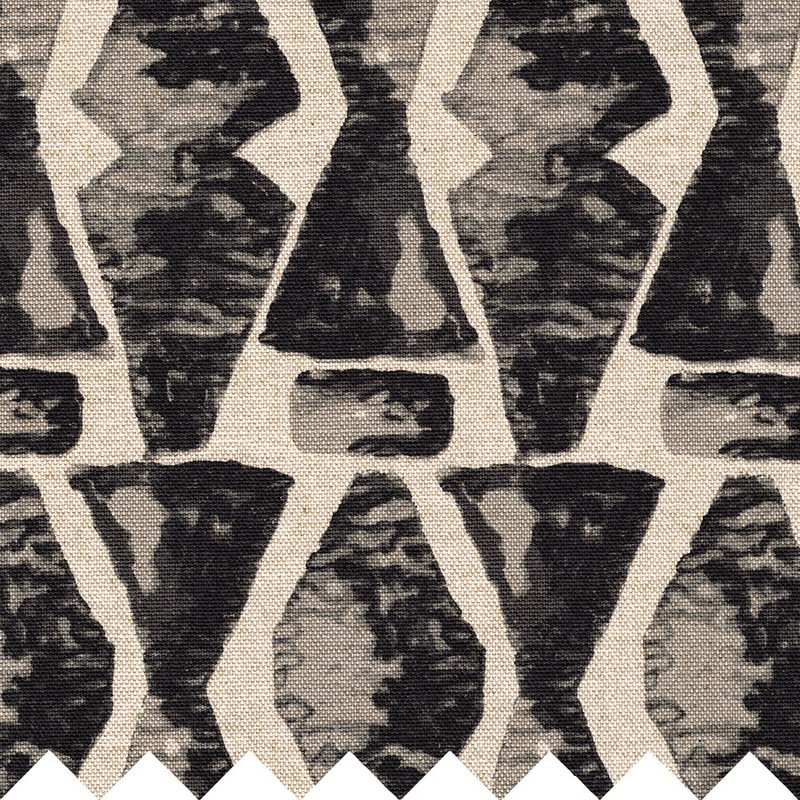 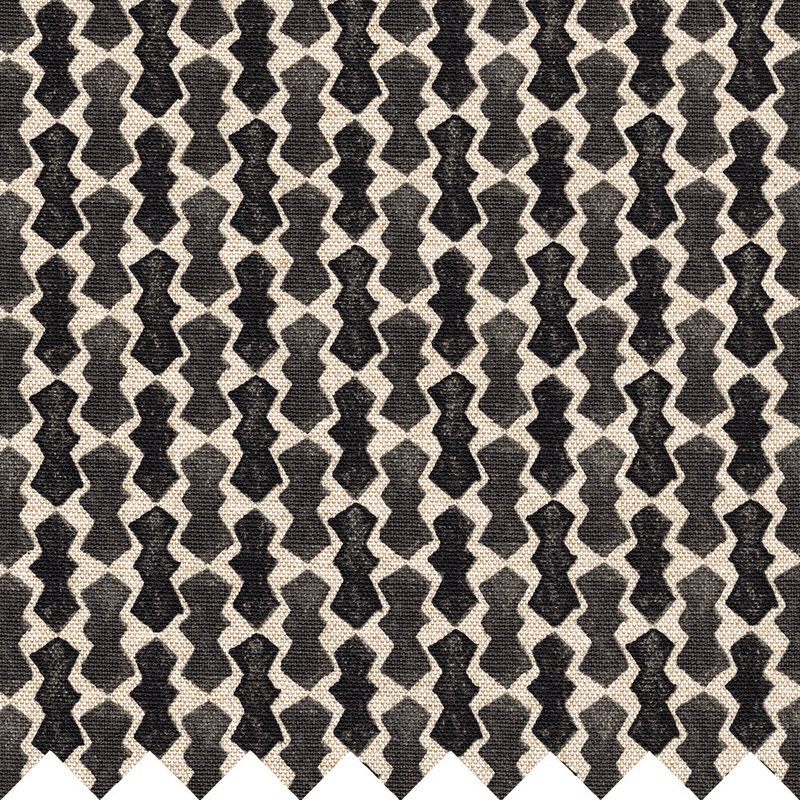 A handsome small-scale geometric print, Echo's design is reminiscent of bow ties. 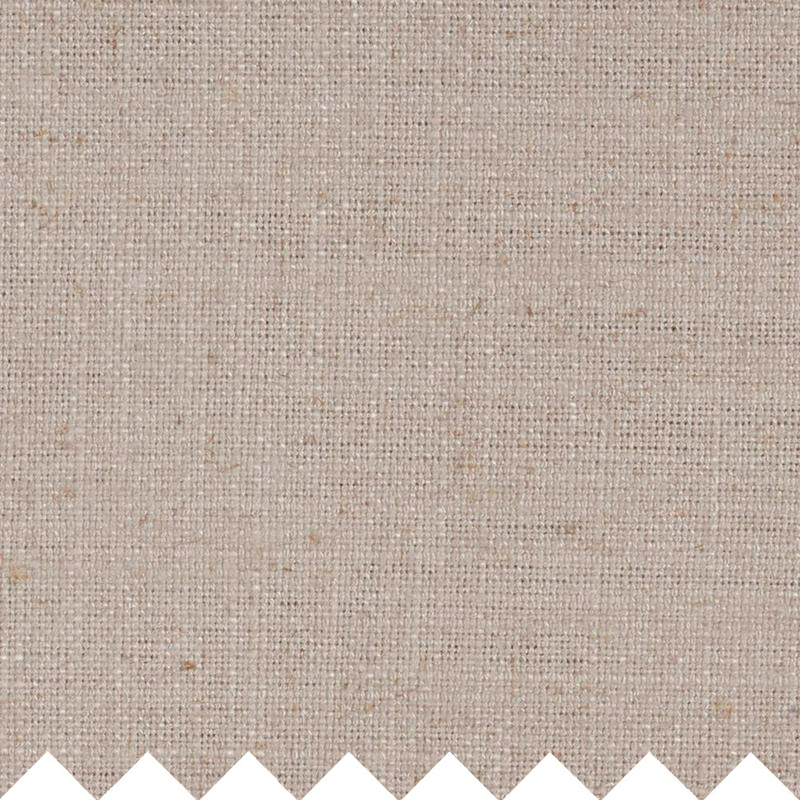 Each squiggle measures approximately 1.125" x 0.5". 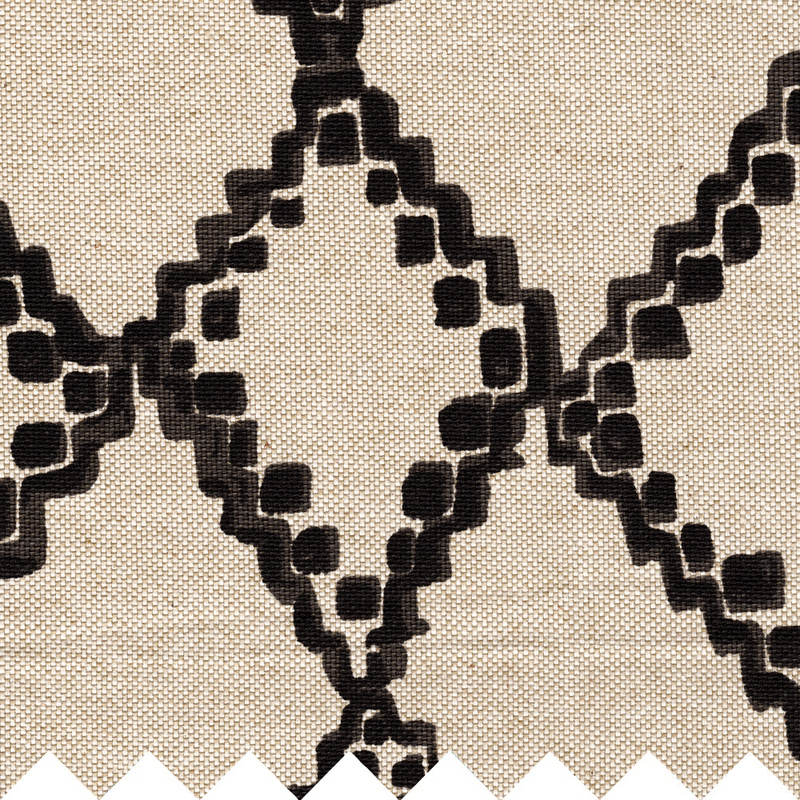 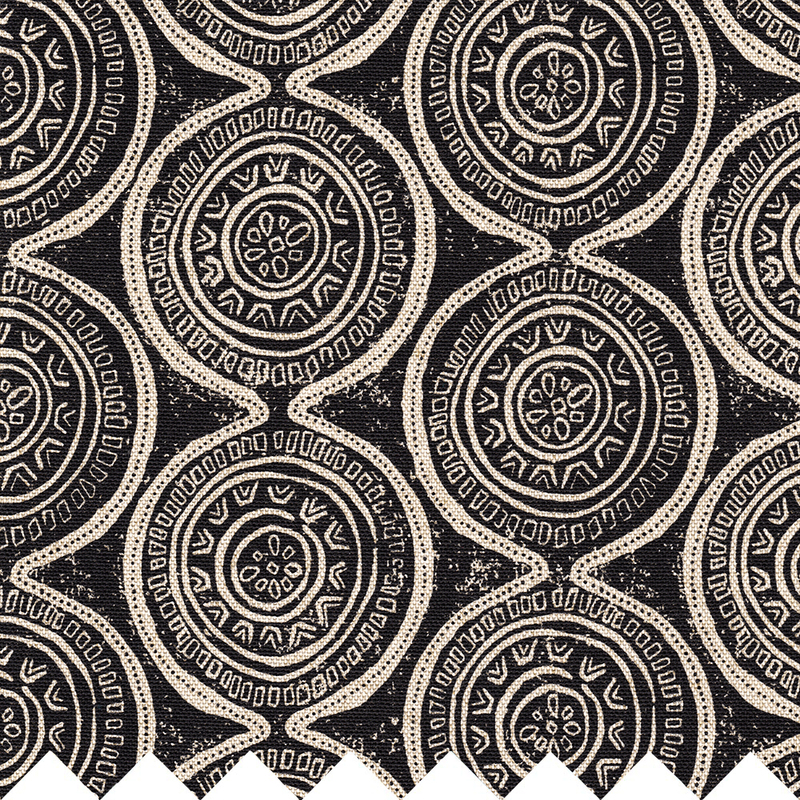 The fabric is "Danish Linen" in a heavy basketweave with the design printed in black.